Established in 1974, Forest Hill Figure Skating Club is dedicated to teaching skaters of all ages. Located at the Larry Grossman Forest Hill Memorial Arena (340 Chaplin Crescent, two blocks north of Eglinton), we have a team of certified Skate Canada coaches who are dedicated to maintaining high quality programming in an enjoyable, safe and positive setting. Club Coach – CanSkate Certified coaches to teach on our Pre-CanSkate and CanSkate sessions. Regional Coach In-Training coaches to teach on our STARSkate sessions. CanPowerSkate In-Training or higher coaches to teach on our CanPowerSkate sessions. You will work on-ice teaching Pre-CanSkate, CanSkate, CanPower, and/or STARSkate 1 group sessions for skaters aged 2-15. You will be expected to be ready 15 minutes early to your lesson and help with the set up/tear down of group activities (toys, games, music etc.). We have group lessons 6 days per week, so there may be an opportunity to coach multiple times per week! We are also looking for coaches who are interested in joining our Substitute list. 1) Must hold a NCCP status – please refer to the qualifications for each level of programming as stated above. 2) Registered: To be a Registered Skate Canada Professional Coach, full payment is required of all registration fees and insurance premiums as determined annually by Skate Canada. Screening must be done through BackCheck and status must show as “Clear”. Completed the Respect in Sport Activity Leader Training. 4) Experience in skating and coaching. 5) References from past employers will be required. 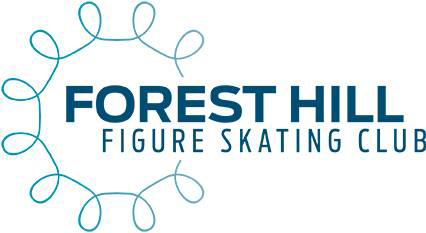 Please send applications to the attention of Beverley Knight– Skating Director at skatingdirector@fhfsc.ca. Further information can be provided by calling Krisha Parks- Office Administrator at 416-481-7325 or emailing foresthill1@bellnet.ca. Suitable accommodations are available for applicants with accessibility needs due to disability upon request. *Note – Coaches selected for an interview will be required to provide proof of their credentials.